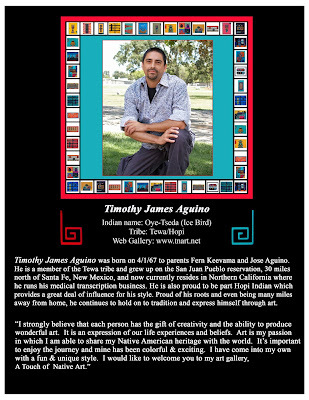 Tim Aguino is the current artist showing at aRt Cottage. 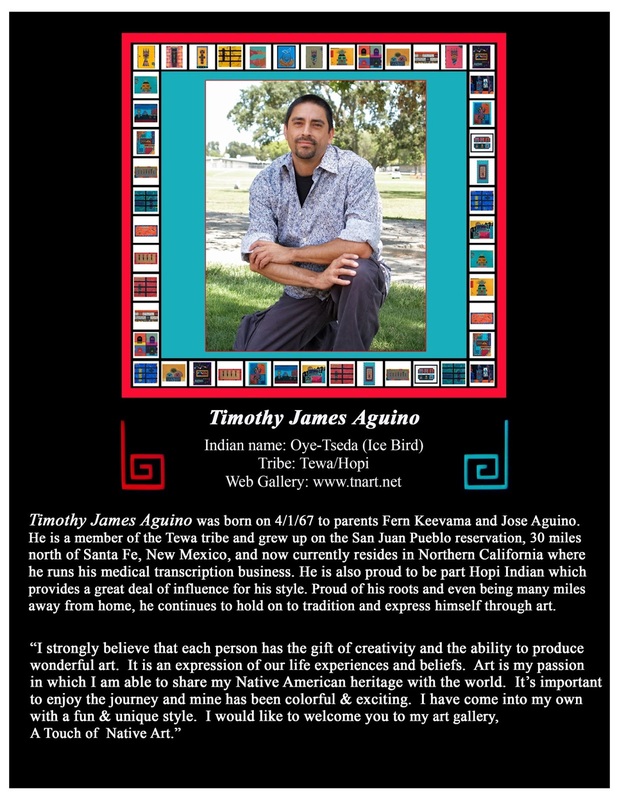 Tim comes from the Hopi and Tewa tribe. 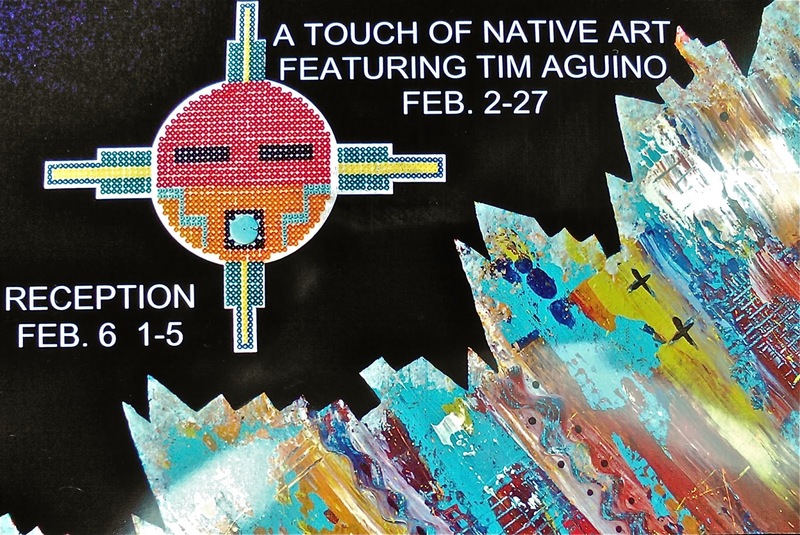 His unique Touch of Native American Art will be on exhibit until the end of February. If you missed the reception on February 6th - No worries. Tim will be having meet and greet the artist sessions on Saturday, February 13th and Saturday, February 20th from 1 to 5. You won't want to miss his exciting exhibit! Tim Aguino's style is his own. on one of the Saturdays of his meet and greet session mentioned above.